[www.inewsguyana.com] – The Georgetown Chamber of Commerce and Industry (GCCI), last evening (Friday, June 20) launched the 5th edition of its Business Guyana magazine which was recognized as the highest income earner for the Chamber. The magazine, which underwent a major metamorphosis last year retained several familiar features such as the Ram and McRae Investment Supplement offering a comprehensive overview of Guyana’s major commercial regulations. The GCCI also brought back the Facts on Guyana Supplement with the Q&A segment featuring local business executive, Ramesh Persaud. 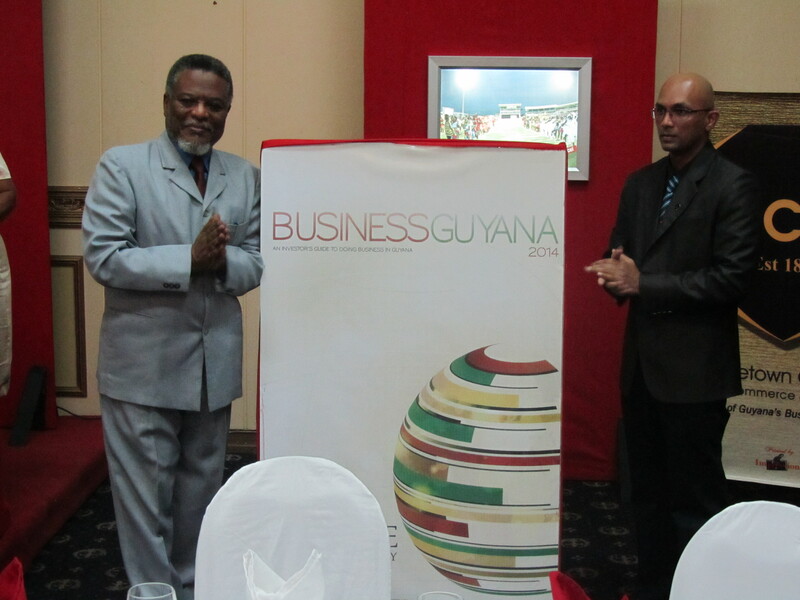 The magazine also outlines a number of sectors where high potential opportunities for investors exist in Guyana’s economy. Some 5,000 copies will be printed and distributed globally through local embassies and trade shows. Notably absent from the launch which took place at the Pegasus Hotel, Georgetown was GCCI’s President Lance Hinds and Former President and Editor in Chief, Clinton Urling. However, Senior Vice President Vishnu Dorga spoke of the drive of the Chamber to encourage entrepreneurship. He pointed out that the GCCI, in representing the voice of the business community continues to lobby for an environment that will foster businesses and its growth. Also delivering brief remarks was Prime Minister Samuel Hinds. He challenged youths to invest in businesses that will see Guyana recording an even bigger macroeconomic growth while pointing to the eight year of consecutive growth at an average of 4%. Meanwhile, Guest Speaker from the Inter – American Development Bank Country Representative, Sophie Makonnen had lots to say about the laudable role the private sector has played in Guyana achieving its growth. She urged them to continue taking risks, being diligent and working hard to generate output and in turn increase government’s tax revenues. She said it is no doubt that the private sector has helped significantly to propel the country. She recognized too the role of small businesses in the larger developmental agenda.